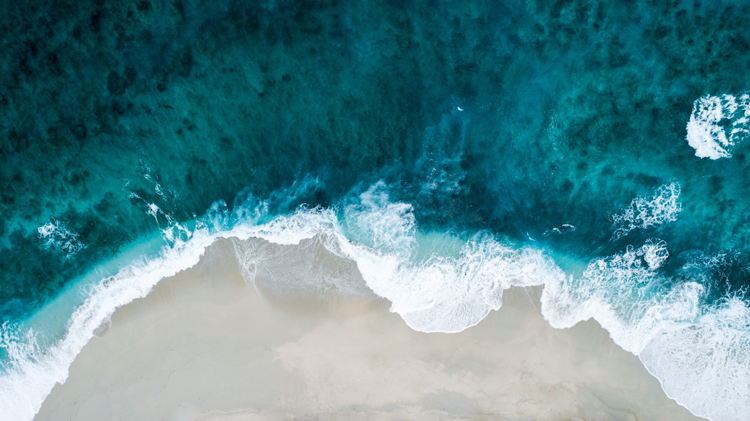 Considered the ultimate destination for luxury living, the city of Boca Raton is home to pristine beaches, lavish estates, fine restaurants, upscale shops, and renowned entertainment venues. Whether you’re a long-time resident or a first-time visitor, there is so much to do in downtown Boca. Consult our complete itinerary for the ultimate day spent in Boca, with much of the activity remaining central to downtown. From the beach to the mall, and the art museum to outdoor patios, here are some of our favorite things to do in Boca Raton. 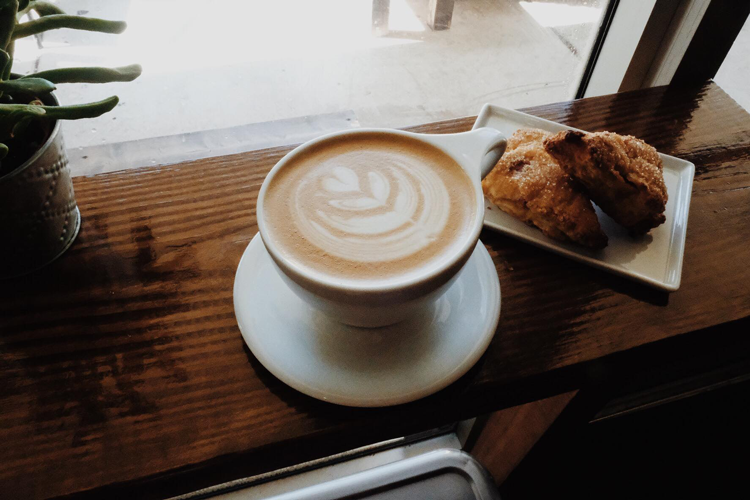 Fuel up for the day with a visit to a local coffee shop. Order a fancy latte or plain black coffee or tea, and pair it with a pastry or maybe even a breakfast sandwich. After all, you’ll need some fuel for the busy day ahead! Some of our favorite coffee shops in downtown Boca include The Seed and R1 Coffee, each of which have inspiring modern interiors and an excellent selection of specialty coffee. Avoid heavy foot traffic and take in the serenity of the ocean by visiting the beach in the morning! The beaches in Boca are known for their white sand and sparkling, crystal blue waters. One of our favorite beaches in Boca Raton is Red Reef Park, which is perhaps the most popular beach in the city. However, if you go early in the morning or during a weekday, you are more likely to escape the crowds. This 67-acre oceanfront park offers a myriad of amenities amidst beautiful scenery, and even has its own nature center. This is an ideal destination for families because of the wide selection of kid-friendly attractions and features — like the Gumbo Limbo Nature Center. This gorgeous preserve has a boardwalk leading to a scenic lookout, where visitors can explore an enchanting butterfly garden and observe tanks with sea turtles. Red Reef Park also provides pristine conditions for snorkeling, as the beach holds man-made limestone boulders creating reefs just 10 feet off the shore. Examine stunning marine life, including tropical fish, turtles, eels and stingrays. The Red Reef Executive Golf Course is a picturesque 9-hole course nestled between the ocean and Intracoastal Waterway, providing stunning water views for golfers. Luff’s Fish House serves fresh seafood in a casual and airy Key West-style setting in a historic 1920s bungalow. The menu includes an array of fresh seafood dishes, from raw oysters to pescatore fettuccine, and a fried lobster baconnaise to fish tacos. RACKs serves a wide range of American food, incorporating locally grown produce and sustainable seafood. The indoor space seamlessly flows to the outdoor patio, as the bar has windows that open to the outdoor bar with comfortable lounge seating nearby, all protected from the sun’s rays with umbrellas. 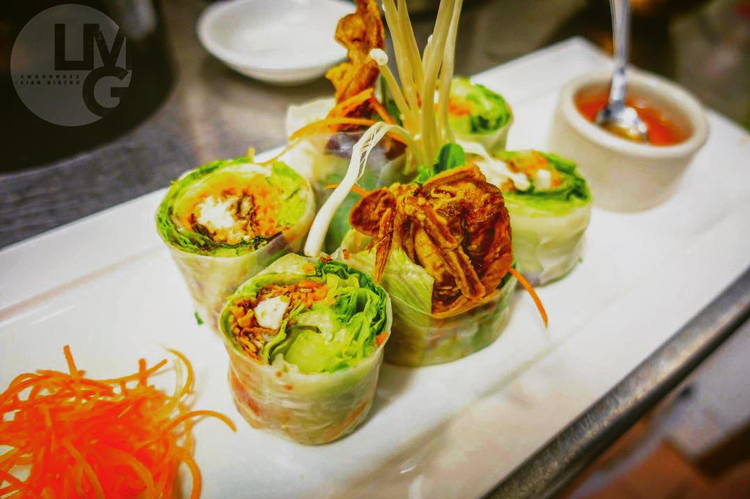 Lemongrass Asian Bistro has a chic and modern interior, plus an inviting outdoor patio so guests can enjoy their fresh seafood with a side of fresh air. The stylish design of Lemongrass is enhanced by an exceptional menu, featuring sushi, noodle dishes, curry and other specialties. Max’s Grille is an elevated New American eatery serving brunch, lunch, dinner and drinks. Their bar extends from the inside of the restaurant to the beautiful patio, where you’ll find more seating either under the shade or in the sun. Boca has no shortage of shopping destinations, from quaint boutiques to renowned designer stores. 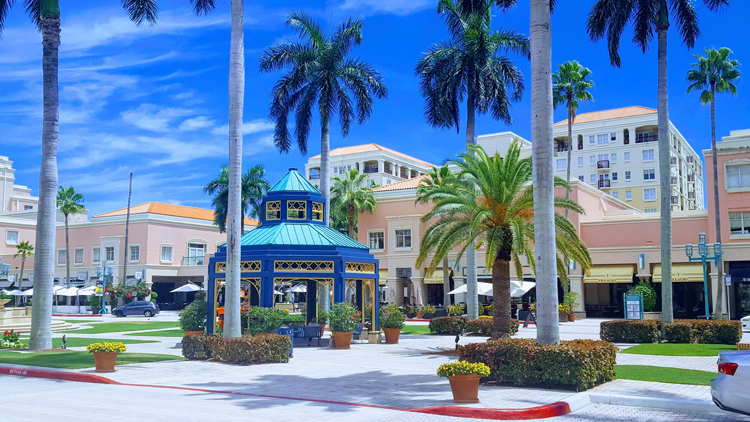 If you’ve followed the itinerary thus far, you’re likely well acquainted with Mizner Park, the lifestyle center serving as the central focal point of the city. Mizner Park has an impressive roster of retail stores, including Kendra Scott, Sur la Table, Le Bijoux Parfum, Lord & Taylor, Marcello Sport, Sugarboo & Co., Tommy Bahama, Cristino Fine Jewelry, and more. If you are looking for even more shopping options, venture a little bit west to Town Center at Boca Raton, an upscale shopping mall with 200 retail and service shops, plus five department stores, including Neiman Marcus, Nordstrom, and Saks Fifth Avenue. 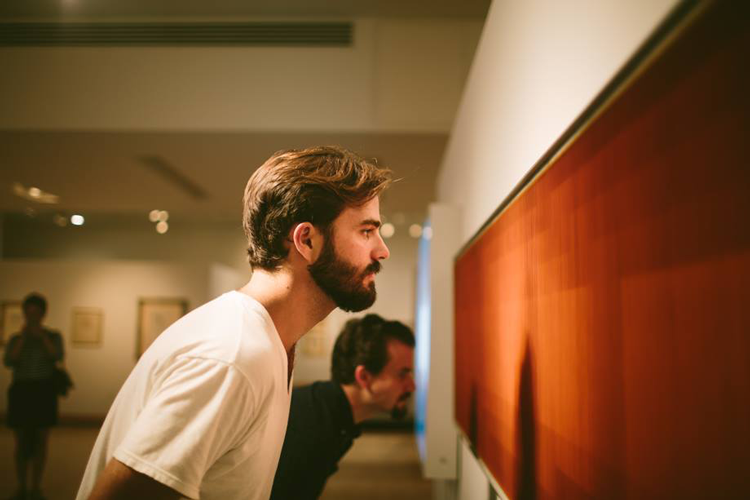 Experience the vibrant arts culture of the city with a visit to the Boca Raton Museum of Art. This beautiful museum in Mizner Park hosts a wide range of art in a myriad of styles and mediums, held in both permanent collections and rotating exhibits. Keep in mind that the museum is closed on Mondays, and is open from 10 a.m.–5 p.m. Tuesdays, Wednesdays and Fridays, from 10 a.m.–8 p.m. on Thursdays, and from 12–5 p.m. on Saturdays and Sundays. Admission is $12 for adults, $10 for seniors 65 and over, and free for members and children under 12. The Locale provides a warm and comfortable atmosphere, perfect for enjoying the rich and bold flavors of the restaurant’s New American-meets-Latin dishes. There’s something for everyone on the menu, including creative starters, burgers, tacos, soups, seafood, pasta, steak, salads, pizza, and more. Trattoria Romana has a rustic and elegant interior, where you can enjoy some of the best Italian food in the region. Pair your authentic Italian food with a selection from their impressive wine list or a specialty cocktail. twentytwenty Grille offers some of the most creative and flavorful dishes in the city. The world-famous, internationally acclaimed Chef Ron Weisheit wows guests with his innovative dishes and personable service. Ouzo Bay serves an array of Greek dishes, including wild catches from around the world, grass-fed lamb, and prime dry aged meats. Eating here is like reserving a table on the Mediterranean, as each bite offers authentic flavors beautifully combined with age-old recipes. Check out the schedules for some of the various entertainment destinations in Boca. iPic Theaters is an upscale movie theater with plush seating, modern technology, and in-theater service for chef-driven dishes and an excellent selection of drinks. Mizner Park Cultural Center is an intimate performing arts theater and music venue hosting a wide variety of shows and concerts. Check the events calendar to see what’s coming next! 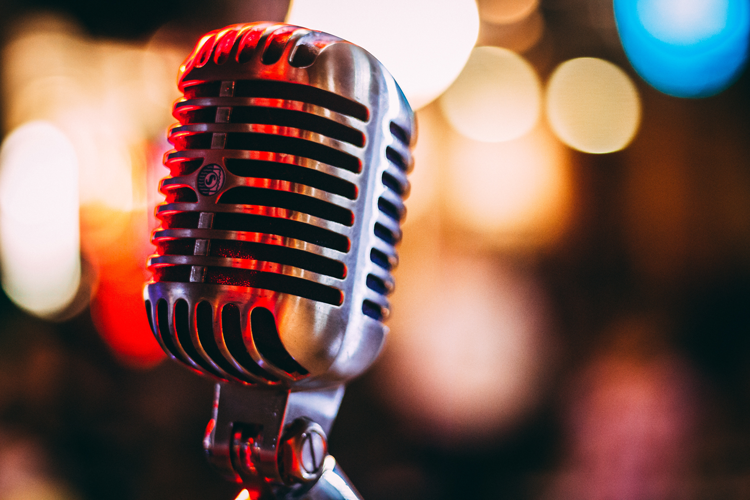 Keep things casual at the Funky Biscuit, a live music venue hosting both nationally known and local bands, playing everything from rock ‘n roll to reggae. End the evening with a refreshing cocktail or a glass of wine. 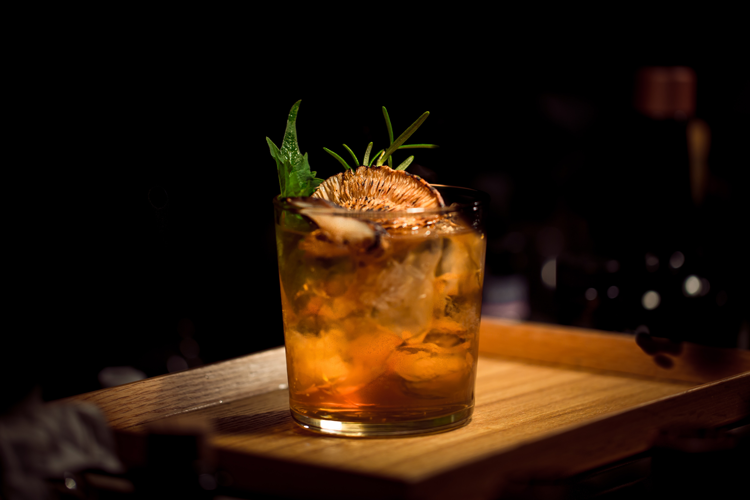 Boca is home to a number of classy watering holes, from wine bars to cigar lounges with an impressive selection of cocktails. Some of our favorites include Vino Wine Bar & Italian Kitchen, Frank and Dino’s, Diplomat Cigar Lounge, Wish Boca, and Tanzy Restaurant. What must-visit destinations would you add to the itinerary? Let us know in the comments below!